As a special service to our VBS volunteers, your young children will experience VBS designed especially for their age! Like the elementary kids, birth-Kindergarten children will play games, learn about missions, have snacks, do crafts and, of course, learn about the Big God Story. We will participate in the Penny Project and be following the same Bible stories/Bible points as the older kids each day. We are excited to help your children learn more about being rescued by Jesus! 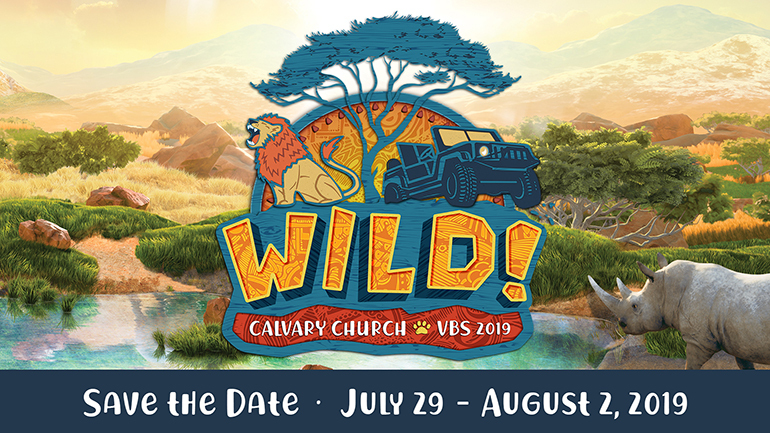 Please be sure to read the early childhood parent letter for must know information that will help your child have the best experience possible at Calvary's VBS.